We have developed a transport bracket for syringe pumps for a customer in the medical technology sector which is used in emergency/rescue services. 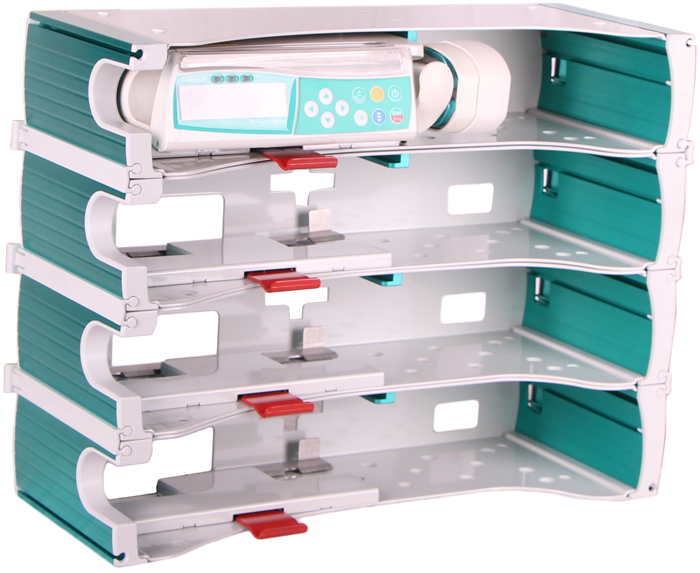 The requirements being made on this project included protection of the syringe pumps by means of a bracket, stackable solution of several units on top of each other, and tool-free use of the bracket. In addition, the design of the bracket was to be aligned to that of the syringe pumps and – the most important factor – the bracket had to comply with the regulations of DIN 1789. This meant that it would have to stand up to a load of up to 20 G without the pumps coming out of the bracket. Following clarification of the requirements, the bracket was developed in conjunction with an industrial designer and constructed by us in-house. The prototype manufactured by 3D printing process was approved by the customer, after which a model was constructed in the required material. This was tested on a test bench to the applicable DIN standards and is now being manufactured in series by us in-house. Learn more about our engineering and construction know-how. 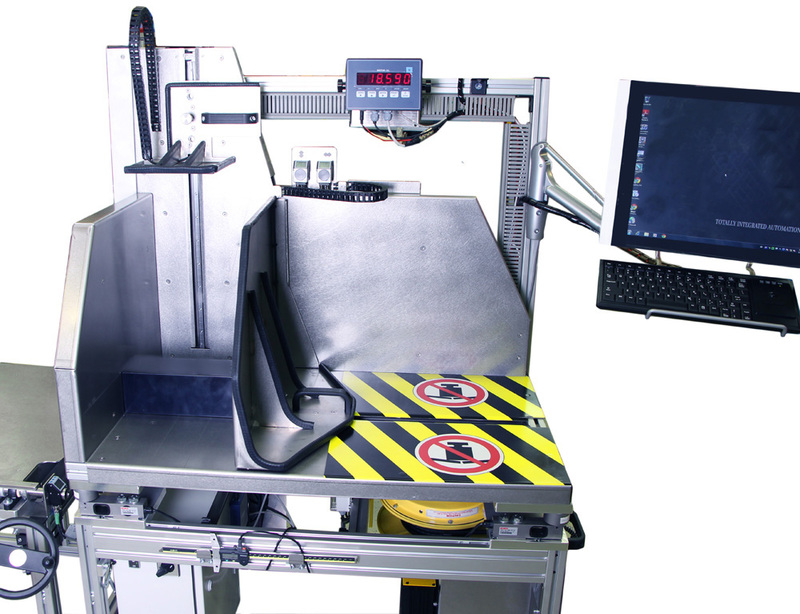 Measuring stations are needed for stocking automated warehouses. The incoming goods are measured and weighed with the help of these stations. On the basis of this data, they are assigned automatically to a specific storage location. We used customer specifications to develop this station. The final version was defined following an in-depth test phase and the stations were delivered to the USA following careful production in our company. Get more information about our mechanical engineering experience. 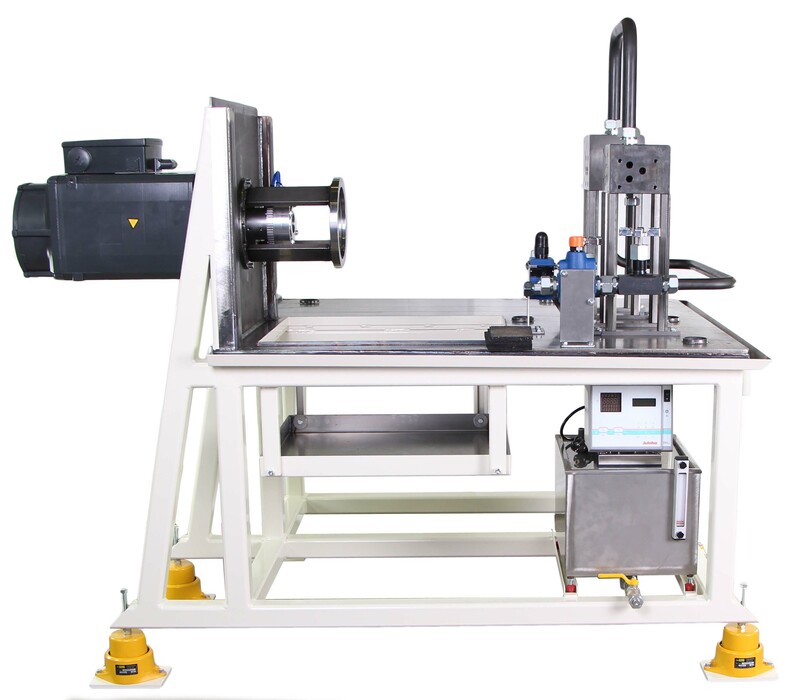 We manufacture gear pump test benches for one of the world’s leading suppliers to the automobile industry. Following a rough concept which was developed by us in our company, adjustments were made in close coordination with the customer during the implementation phase. Each adjustment has been recorded in order to be able to establish the necessary transparency with regard to expenditure and follow-up projects. The procedure of progressive concept further development during the implementation phase has the advantage that it enables direct realization of individual requirements on the implemented pumps. As a consequence, savings are achieved during the engineering phase. Following customer approval at Hein + Gernhard, the gear pump test bench was transported to the customer’s facility and put into operation. 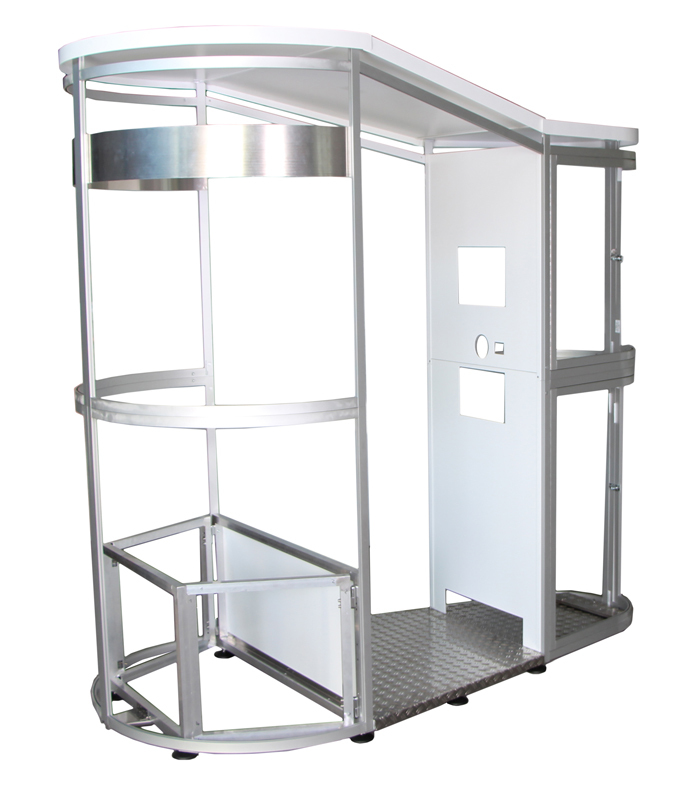 We manufactured a passport photo booth for a customer in the trade fairs and events sector. The individual parts were constructed and assembled in-house. Following an initial test of the booth, adjustments were made and the booth subsequently put into construction in small series. The photo booth is used for company festive occasions, trade fairs and parties. Learn more about our production facilities like sheet metal working or CNC milling and turning.